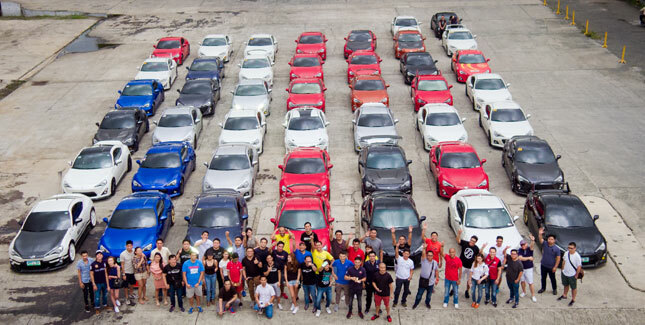 Despite all the negativity, hate, envy and general bad vibes we see every day, (particularly via social media), there has never been a better time to be a car enthusiast here in the Philippines. There are many ways to reach out, connect, explore, meet like-minded people, and learn more about cars and the community than ever before. Car clubs, car meets, fun runs, track days, off-roading, and motorsports (from grass-roots level all the way to professional racing) are the avenues we car enthusiasts express our passion for automobiles and driving. Unfortunately, most of us cannot dedicate as much time, energy and resources compared to when we were younger. As we get older, we have other responsibilities to attend to. A decade ago, I would be at the track every three weeks (just enough time to save for track fees and extra gas money, plus do some remedial maintenance work) with my trusty Mitsubishi Lancer Evolution IV RS. Today, I barely have time to drive my own Toyota Supra because of work, family obligations, or I'm simply too tired. Joining a car club also takes time and dedication. The least I can do—aside from snippets of driving—is to go to car meets. So this very busy, wet and chaotic August, I attended a few car events aimed squarely at car enthusiasts. This is the brainchild of Martin Estrella, a dyed-in-the-wool Toyota fanatic. 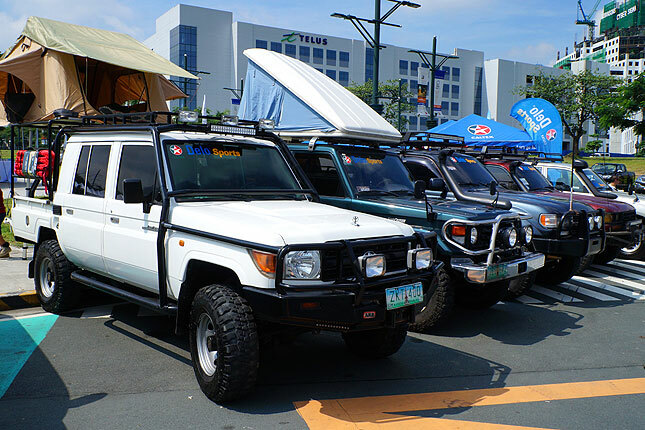 Patterned after the Toyo Fest in the US, Toyo Fest Philippines takes it to another level by organizing a series of events all over the country, to allow Toyota enthusiasts from different provinces to participate. It's not just a car show, there's also live entertainment and retailers offering discounts and freebies for participants. Entrance to the general public was free, but exhibitors had to pay a nominal fee to cover logistics. 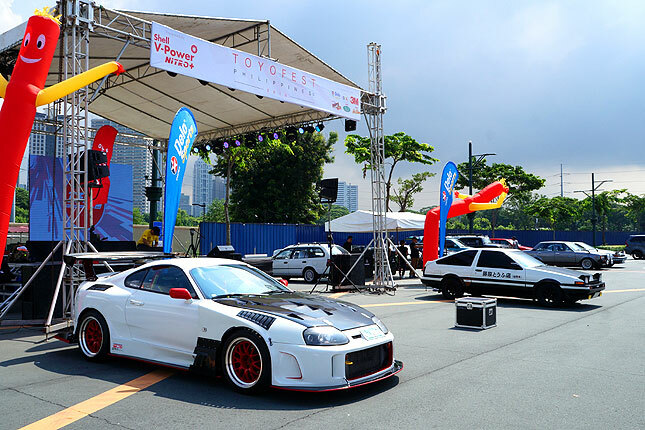 People enjoyed the event, and there was a wide variety of Toyotas: old-school Pinoy classics like the Corolla, iconic off-road vehicles like the Land Cruiser, and of course, sports cars that dotted Toyota's history such as the Celica, the MR2 and the Supra. Since I owned two Toyotas, Martin invited me to display my Supra and my FJ Cruiser. I'm looking forward to the next Toyo Fest! Three events were actually held that day: the Toyo Fest, the Magtroc Anniversary, and 8-6 day. The 8-6 day is probably the biggest event of its kind, because 8-6 day celebrated all things Toyota 86. 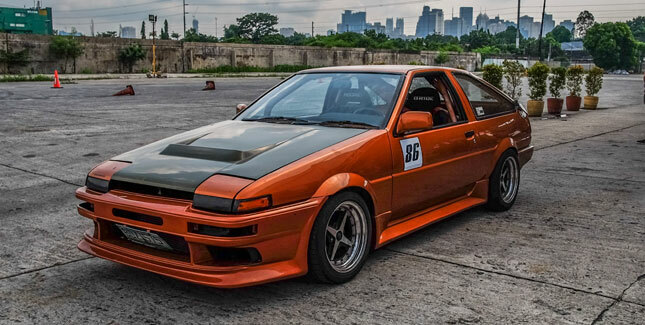 The Hachi (8) Roku (6) was immortalized by fans, die-hard enthusiasts and otakus worldwide thanks to Takumi Fujiwara's unbeatable panda-colored AE86 Toyota Corolla Sprinter Trueno (which means "thunder" in Spanish). Since then, fans worldwide have bought into the charms of the little Toyota that could. Since Toyota, together with Subaru, started selling the 86 sports car (and its Subaru twin, the BRZ), these cars have now been included in the celebrations. 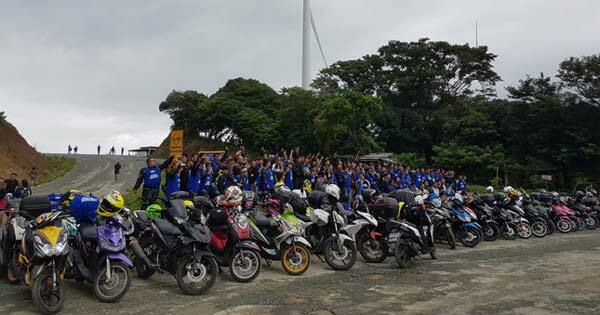 The local 86/BRZ Club held a small event at the Mega Tent in Libis, with some drifting, a safety driving seminar, and autocross runs on the expansive parking lot. The 8-6 day was celebrated with great fanfare. Next up were some real monsters. 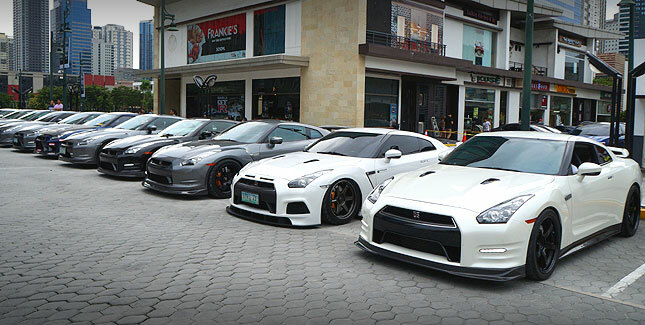 Magtroc (short for Manila GT-R Owners' Club) also decided to hold its first anniversary event at the parking lot beside Gram's Diner, which happens to be a mecca for car meets, and one I'd be visiting again in a few weeks for another meet. While the Magtroc guys are few, you can tell that they all want the same thing: power. And more power! The average hp rating of the cars here were all around 600hp and higher. Since the Magtroc meet was a smaller event, there were no big demo runs or live entertainment. There was, however, a real monster sleeping, waiting to be unleashed. The GT-R in question is Jon Tiu's Tiunami 3—a monstrous Nissan R35 GT-R pushing close to 2,000hp, if rumors are to be believed, through all four wheels! 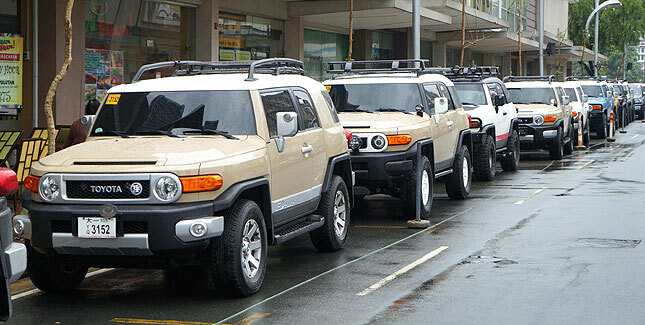 I'm also an unofficial member of the Philippine FJ Cruiser Club (PFJCC), and whenever its president, Atty. Jun Rodriguez Jr., messages me to drop by the monthly meetings, I always try to join them. The PFJCC's membership profile is more tenured and more, ahem, senior in nature. It just goes to show that the only thing that separates the men from the boys are the sizes and prices of their toys. Despite being composed of many highly successful professionals and entrepreneurs, everybody loves attending the monthly meets to get ideas on how to tune their cars. It was bed weather, but I made it out of bed and brought out my own FJ Cruiser to The Hub in EDSA Central in Mandaluyong. I relished a few hours of camaraderie, picture-taking and checking out the rigs of fellow members. Great times from these gentlemen, indeed! The last car gathering of the month was the Legend of the 90's meet. Held once again at the parking lot beside Gram's Diner, the Legend of the 90's celebrates the sports cars, the cult cars, and the hero cars of the '90s. 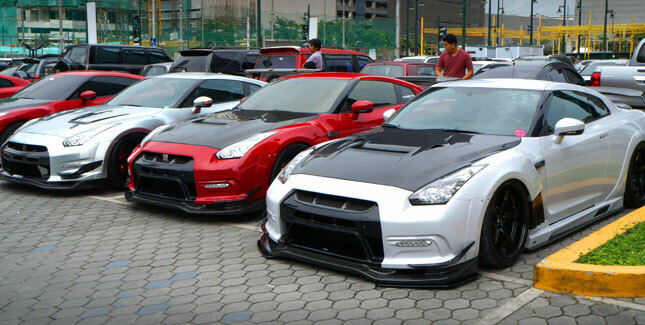 Many enthusiasts agree this was the golden age of Japanese sports cars and tuning. 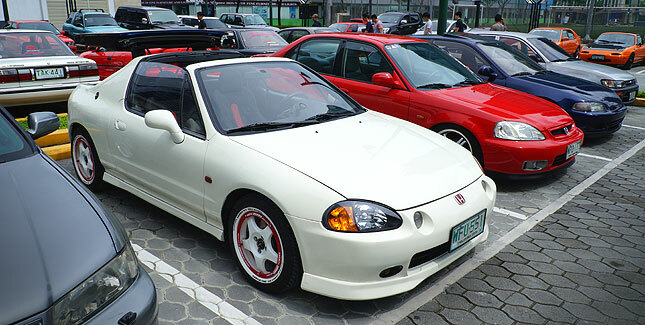 There were venerable Toyota Corollas with swapped 4A-GE 20-valve engines; menacing Honda Civics with B-Series engine swaps; drift-spec Nissan Silvias; and of course, the unicorns of Manila—the Honda NSX, the Mazda RX-7, the Nissan Skyline, and the Toyota Supra. Obviously, I wanted to see a variety of very rare JDM sports cars so I dropped by with my Supra and ended up smack in the middle of a posse of Mazda RX-7s. The current venue is too small, so there are plans for one more meet at a bigger venue soon! So a lot of events are happening around. You just have to have a keen eye and ear. Check out social media and media outlets like Top Gear Philippines for the latest news and scoops on anything car-culture related!